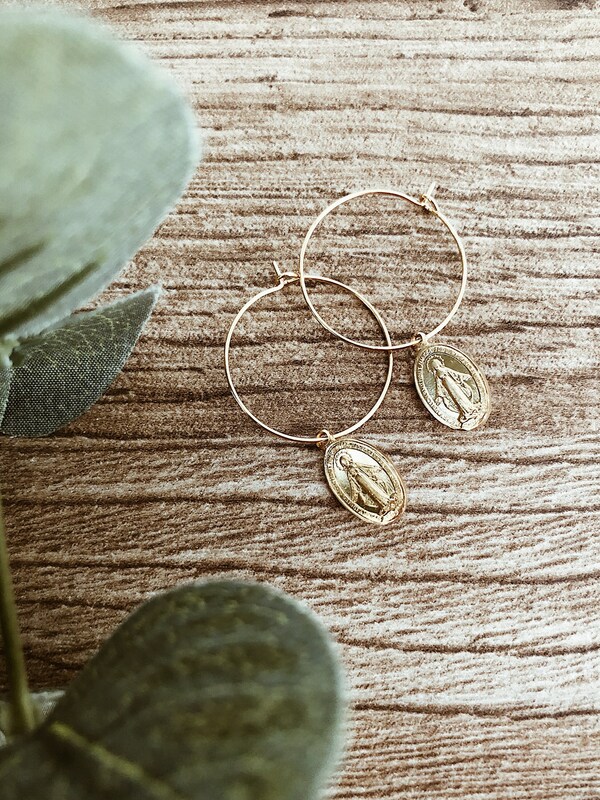 The earrings for sale are made with brass rims and a madonnina pendant. The earrings are sold in pairs. IMPORTANT: Do not wet your jewelry, it may lose color if in contact with water or perfume.